It is an emergency condition in which blood supply to a part of brain is totally or partially cut off resulting in sudden loss of function in that part of the brain. The main cause of the stroke is ischemia due to deposition of the cholesterol. These deposits are known as the Atherosclerosis. Some time hemorrhage is there then it is more serious. A stroke happens when the blood supply to your cerebrum is interfered with or lessened. This denies your cerebrum of oxygen and supplements, which can make your mind units burn out. 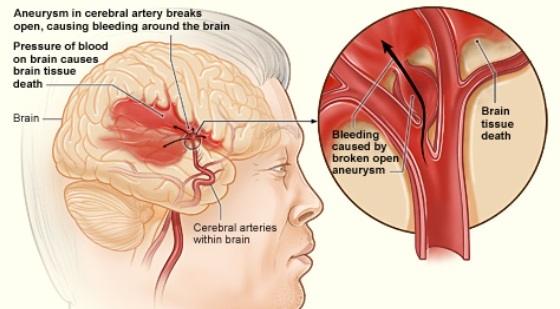 A stroke may be brought on by a blocked supply route (ischemic stroke) or a spilling or blast vein (hemorrhagic stroke). Some individuals might experience a brief interruption of blood move through their cerebrum (transient ischemic attack). A stroke results from impaired element delivery to brain cells via the blood. Consistent with the U.S. National Institute of neurologic Disorders and Stroke. According to the Ayurvedic concepts Stroke is known as the Pakshaghat. It is due to severe vataj imbalance. Stress is the main cause now a days which increase the blood pressure. virudh aahar vihar like smoking( which cause hardening of the arteries), excessive junk food are the main cause behind this. At Ayurveda Yogashram centre the expert doctors team give pure Ayurvedic effective remedy and treatment for Stroke. With the help of Ayurveda, Yoga and Panchkarma Stoke can healed very well.